CUTCNC[CUTCNC? :cutting machine sample maker manufacturer] bag[bag? :bag paper pattern sample cutting machine] pattern cutter[pattern cutter? :pattern cutter] can apply to cut bag patterns with customized design. CUTCNC bag pattern cutter can make operations to bag pattern like cutting, half cutting, plotting.etc. 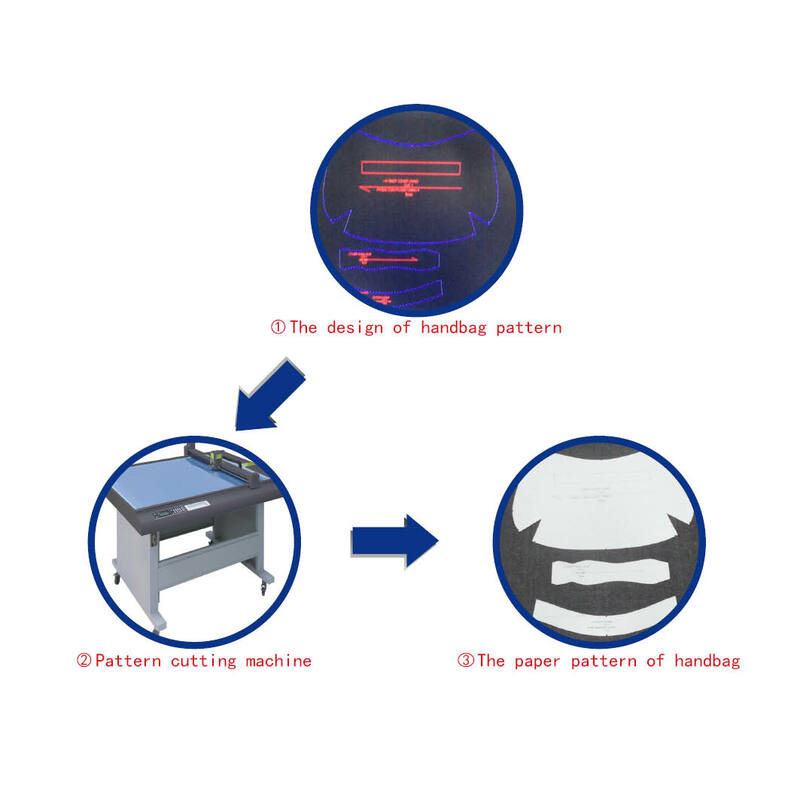 Our models which process bag pattern: DCE series bag pattern cutter; DCP[DCP? :packaging sample cutting machine] series bag pattern cutter.